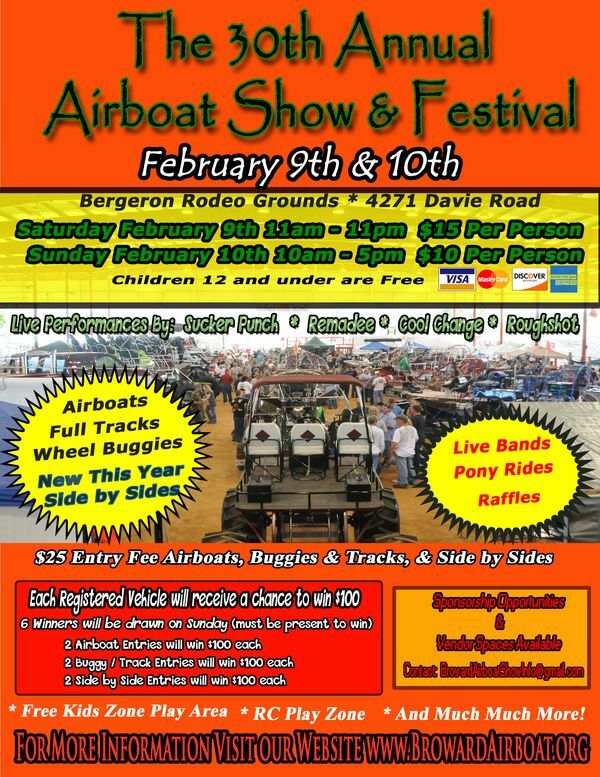 Looking forward to this weekend at the 30th Annual Airboat Show & Festival (Feb 9 & 10) at the Bergeron Rodeo Grounds in Davie, FL. We will be there Sat & Sun to talk and answer questions. I know it came a month earlier this year than in the years past, and so I hope everyone that has been a supporter of this great show will be there. I'd like to give an advance thank you to all the volunteers from the Broward County Airboat, Halftrack, and Conservation Club that have been working to make this year's show happen. They have really changed things up this year, including the date, and the kids area sounds like it will be great for families. "Leaders in Propeller Performance Technology"